They say that money makes the world go around, and while that is often the case, it can also leave people feeling crippled and isolated. If you were to ask the average person what they would like most they would probably say more money, however, they might not choose to use this money to pay off their debts instead they will probably use it to buy new things. Doing this can become a slippery slope so it’s easier if you can get yourself out of debt quickly and easily so you can then devote more of your hard-earned income to the things you want. The first and most important thing in getting yourself out of debt is to set up a budget. These are easy to do, and if you have problems with things like Excel or spreadsheets, then there are many templates online that you can use to help you. Once you’ve set up your budget spreadsheet, you need to start inputting your daily outgoings and also any money you have coming in. Often this can be the trickiest part because there could be small things you forget, especially if you pay for them every day like newspapers or coffee. The best way to start is the keep a daily diary of all the things you spend no matter how small. Try and keep this going for a month so that you can have a good indication of everything you are spending, you can then add this to your budget plan. When your budget is up and running, you will quickly be able to identify things that you can do without. For example, if you are spending money every day going to the coffee shop, then this is something you could easily cut out of your budget. That doesn’t mean you have to give up coffee during the day, it just means rather than paying for an expensive cup of coffee in a shop you can simply make it at home and take it with you in a thermos mug. The same applies to lunch, instead of going out and buying a sandwich, make one at home and take it with you. These small things will quickly add up and save you a lot of money throughout the month. There are often times when you go through the year without realizing that some of the regular payments have gone up. In particular, these can be car insurance, mobile phone contracts, and internet service providers. That is why it is important that you always keep an eye on your expenditure and also any renewals that happened over the course of the year. If you feel that your contract has been renewed at a rate higher than you think it should be, then this is a good opportunity to start doing some research into other providers. In many cases you might not even have to switch providers, simply telling your existing company of the lower quotes you received is often enough to get them to match it. Once you have managed to cut your spending and you know how much money you have coming into the account, you will be able to start prioritizing your debt. You need to think of all of the payments you make sure which are the most important. These could include your house payments, your car, and medical insurance. Of these, your house payments are the most important, and you need to learn more about what happens if you fall behind on your payments. If you’re unsure what debts or payments to make a priority, then you need to speak to a financial advisor. There are also many debt charities that can give you help and advice on the best way to move forward if you’re struggling. As well as trying to save as much money as possible, you also need to try and create additional funds. There are many ways you can achieve this, for example, you can ask for overtime at work, take on a second job or start a little business from home. The last example is a little easier for most people as it doesn’t involve any additional commuting or time away from home. For example, if you think you have a skill that people will use, then why not start doing some freelance work in your spare time? Freelancing has become a very popular way to make additional income, and there are many people out there in need of freelance help. Most people have things in the attic or the garage they no longer want, so this creates the perfect opportunity to make some additional money. It is also a good excuse to get rid of all those things that you haven’t used for a long time and may never use in future. There are many ways you can generate income from these items, for example, you can place them on internet auction sites or in your local newspaper. The additional money that you generate from these sales you can put towards your debts to get them paid off quicker. That, in turn, will give you more free cash when those debts are paid up. 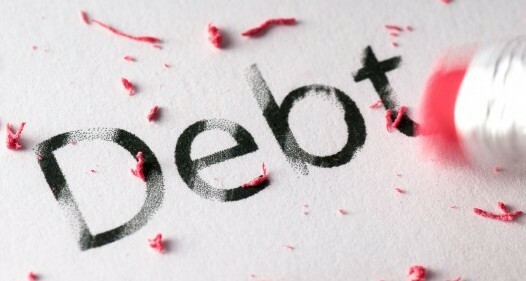 If you have many small debts, they can sometimes be easier to manage if you consolidate them into one debt. This means taking out a loan it will cover the cost of the rest of your debts and then just paying back this one loan. Another benefit of doing this is that the repayments will often be lower because you are only paying one lot of interest. Whether you have many debts or one large debt, paying these off can seem like an insurmountable task. However, if you can put a plan in place by budgeting correctly and generating some additional income you can quickly reduce these debts. You will then have some spare income that you can spend on the things you want.